New Zealand Prime Minister John Key has been delayed by a day in his trip to India after the Air Force Boeing 757 carrying him and 80 other passengers broke down in Townsville. Key was due to land in Mumbai on Monday at around 7 pm but, will be picked up by a second plane sent from New Zealand on Tuesday, reported NzHerald. Due to this unfortunate incident, his Mumbai programme has been scrapped altogether. He will now directly fly to New Delhi via Jakarta. He will hold a one-on-one meeting with Prime Minister Narendra Modi followed by official delegation level meeting to discuss growing bilateral relations in Delhi. During this, his second visit to India, he is also scheduled to go to Kochi and undertake a short tour of the new Cochin International Terminal and the work undertaken by the New Zealand company, Glidepath. The agenda of both the countries for Key’s bilateral visit might not be the same but, it will ensure stronger economic and social ties between the two countries. It might also strengthen the political relation between the two leaders. While Key and Modi have had talks on similar lines while in Washington during the two-day Nuclear Security Summit hosted by US president Barack Obama, this visit will be more crucial for India, which is struggling to muster Wellington's support for its Nuclear Suppliers Group (NSG) membership. 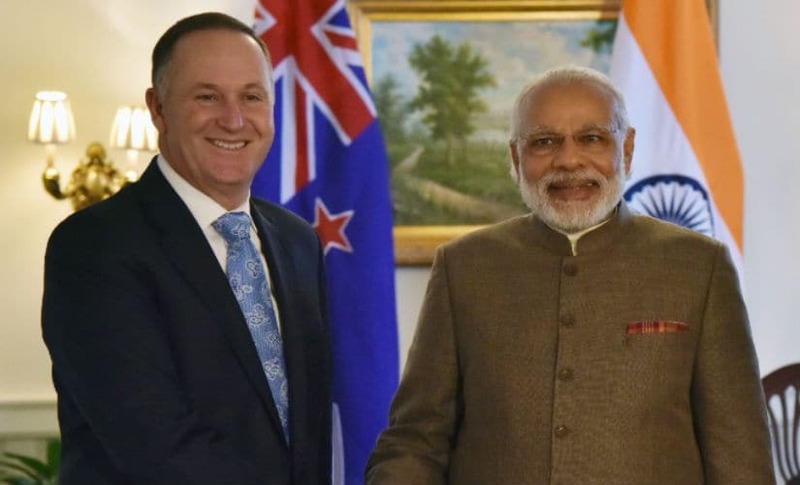 New Zealand has been one of the countries who have expressed reservation over India’s inclusion in the elite 48-member grouping because New Delhi is not a signatory to the Nuclear Non-Proliferation Treaty (NPT). Key is looking at better ways to engage the countries with increasing opportunities for New Zealand businesses. From education, manufacturing and food and beverage to IT and aviation, every sector is expected to benefit from his visit. Modi’s sole agenda seems to be to convince New Zealand of its readiness to join NSG. 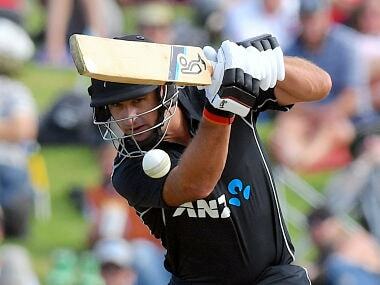 Despite President Pranab Mukherjee’s visit to New Zealand, Wellington had stuck to its reservations unless a new criterion is formed about the non-NPT countries. Modi might have decided to charm Key or simply flatter him to try and change his decision. New Zealand also wants to push for Free Trade Agreement (FTA) negotiations, which both the countries have been working on since 2010. Even after 10 rounds of talks, the nations are still a fair way from arriving at a deal. Key is also travelling with a 35-strong business delegation to capture the huge market in India. Both the countries are also committed to negotiating improved trade and investment agreements via two ways. “One is through the Regional Comprehensive Economic Partnership (RCEP), and secondly through our bilateral free trade agreements discussions,” wrote Key. There is an urgent need to significantly increase or at the least maintain the bilateral trade figures between the two countries. India’s total bilateral trade with New Zealand is $855 million, and the deficit stands at $240 million. However, there has been a 42 percent growth in two-way trade in goods and services over the last five years, according to Key. The revival of this disappointing trade relation should be one of the core agendas for India to turn around unfavourable economic ties. One of the main concerns that widens the trade deficit between the two countries is India’s tariff on dairy products. According to NewsHub, New Delhi has a policy of being self-sufficient for milk production and protecting its smaller farmers. Tariff on some agricultural products can also be as high as 100 percent, which makes it uneconomic for outsiders. According to the Department of Commerce, the export of dairy products has reduced from $0.25 million to $0.07 million since 2015. Considering that almost 40 to 50 percent of food goes waste in India, New Zealand believes that its storage and distribution systems can help in a major way. Signing more trade deals and agreements with new Zealand might restore the balance in trade, which India desperately needs at the moment. 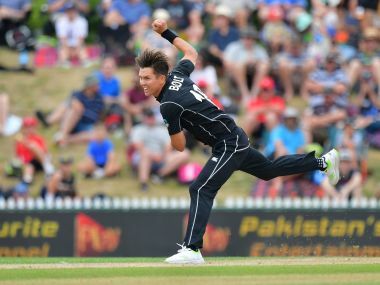 But aside from goods trade, an important aspect of India-New Zealand economic relations are the education services the Antipodean nation offers. “India is New Zealand’s largest source of skilled migrants and 29,000 indian students are currently enrolled in our academic institutions, making them the second largest overseas student population studying in New Zealand,” writes Key. The number of Indian tourists to New Zealand has also increased significantly. Last year around 46,000 Indians visited New Zealand and this number is expected to grow to 93,000 by 2022. Further, a report by former New Zealand High Commissioner Graeme Waters, for the Asia New Zealand Foundation suggests that the future of trade between India and New Zealand lies in services such as IT, fashion design, film making and aviation. Both the countries still don’t have direct flights, which forced Key to skip the Mumbai leg of his India trip. According to Waters' report, India is reputedly a price-sensitive market and with no direct flights, and hub carriers can try to offset time increases with cheaper fares. The trade deficit and the need to start direct flight between the two countries should be the focus of Key's visit. Apart from this, New Zealand can also help India in finding sustainable ways to keep up with the pace of development. Almost 83 percent of Wellington's electricity generation comes from renewable sources and identifies itself as a "world leader" in geothermal energy, writes Key in the editorial.